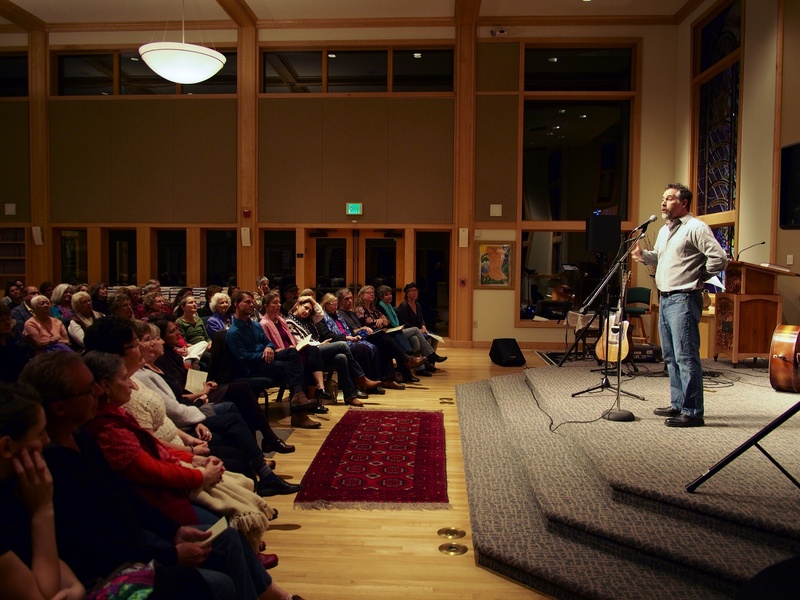 Founded by Mark Yaconelli on Valentine’s Day, 2010, the Hearth Community is a new model of community building based on personal storytelling, reflective listening, and community service. Once a quarter, a handful of local folks gather to tell a true story, first person, based on a theme. Past themes have included: “Love Hurts,” “Tales from Childhood,” “Letting Go,” and “Wilderness Tales.” Each event includes live music (from bluegrass, to folk, to Celtic, to jazz) coordinated by Ashland fiddler Duane Whitcomb. The entrance fee is $5, and all proceeds go to charities based in Southern Oregon like the Ashland Emergency Foodbank, Klamath-Siskiyou Wildlands Center, Dunn House, Rogue Valley Farm to School, Ashland Hospital Hospice, and others.